Have you heard? Intel recently launched the powerful new Intel Xeon Processor E5-2600 v2 product family. Also referred to as the "Ivy Bridge EP” product family, the newest Intel Xeon processors are designed for the server, storage and networking infrastructure found in the datacenter. Featuring up to 12 cores/24 threads and Intel’s leading 22-nm 3-D transistor technology, Intel Xeon E5-2600 v2 processors are said to offer up to 45% greater efficiency and up to 50% better performance when compared to previous Intel processor generations. The improved efficiency and performance offered by the Intel Xeon E5-2600 v2 product family enable the rapid delivery of services, making these processors a perfect fit for high performance computing, cloud and enterprise segments, compute-intensive workloads, and in-memory database applications. The big brother of Intel’s Ivy-bridge E product family, further advantages offered by the new Intel E5-2600 v2 Ivy Bridge EP processors include two integrated memory controllers, faster memory support, no GPU, faster QPI, and increased cache size. We’re excited to announce our recent partnership with Nimble Storage, the leading provider of flash-optimized storage solutions. As a Michigan-based partner with national capabilities, we have the unique opportunity to leverage the solution set offered by Nimble Storage to round out our extensive datacenter solutions portfolio. Since Nimble Storage started shipping its product in 2010, they have acquired more than 1,750 customers. The key behind Nimble Storage’s success is their patented Cache Accelerated Sequential Layout (CASL) architecture, which enables their hybrid storage arrays to simultaneously deliver fast performance and cost-effective capacity. Targeting enterprises of every size, Nimble Storage offers arrays starting with the CS200 series and scaling up to the high-end CS400 series. Our existing partners, like CommVault and VMware, can be used to fully leverage their virtualization and business continuity capabilities. Through their technological and integration capabilities, Nimble Storage enables faster application performance, enhanced backup and disaster recovery, and stress-free operations—all while lowering TCO. As a result, Nimble Storage has proven to be an exceptional platform for all mainstream business applications and environments, including Microsoft applications like Exchange, SharePoint, SQL Server, as well as Oracle, data protection, virtual desktop infrastructure (VDI), and server virtualization. So when it comes down to it, the real reason we chose to partner with Nimble Storage is not only due to their unique technology, but because they fit our business model very well. Nimble Storage provides better technology at a greater value, which is what we’ve been about since day one. Kicking off on Thursday, September 12th and lasting through Friday, the 13th, GrrCON is an information security conference held in the Midwest – specifically, our hometown of Grand Rapids, Michigan. We were a Silver sponsor of GrrCON this year, our first year ever attending the show. 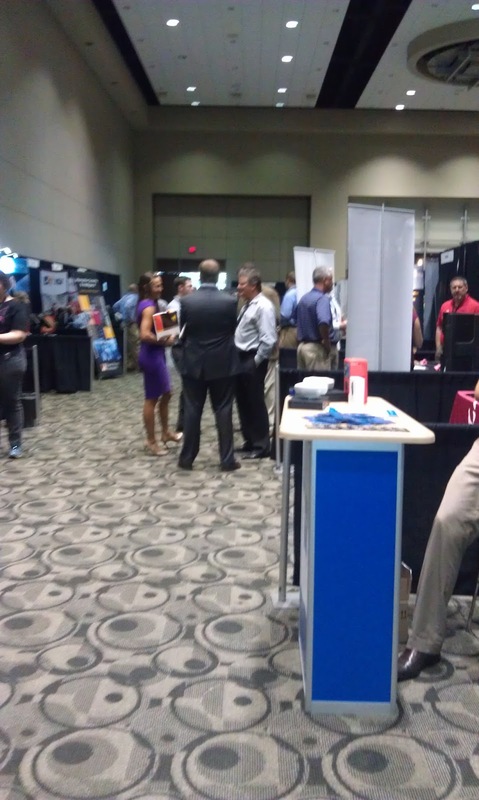 From our booth in the Solutions Arena, we got to experience GrrCON first-hand. From our booth, we got a chance to speak with security professionals that were both local and out-of-state. These professionals were from a variety of industries, such as Medical, Legal, Finance, Insurance – you name it. GrrCON attracted the American melting pot (or stir fry, to use a more current phrasing) of individuals and we are appreciative for the chance to meet them all! So since it was our first year, the question was, will we back next year? And the answer is a resounding yes. GrrCON, be ready to see GLC as a sponsor again in 2014. We can’t wait! Announced at VMworld 2013, VMware has released updates to both their vSphere virtualization platform with Operations Management and their vCloud Suite, designed to manage vSphere-based private clouds. Both VMware releases feature new and improved capabilities as well as new product integrations. The updated VMware vSphere 5.5 with Operations Management offers many improvements targeted at enhancing support for business-critical applications. Offering increased customization and improved high availability functionality, vSphere 5.5 also delivers double the scalability as the previous version for levels of virtual and logical CPUs per host and maximum memory per host. vSphere 5.5 increases the maximum VMDK file size from 2 TB to 62 TB. vSphere virtual graphics processing unit (vGPU) feature has been expanded to include AMD- and Intel-based GPUs in addition to previously supported NVIDIA-based GPUs, and vGPU supports Linux operating systems with vSphere 5.5.
vSphere Flash Read Cache is also introduced with vSphere 5.5. vSphere Flash Read Cache enables the pooling of multiple Flash-based devices into a single consumable resource. Performance of virtual machines is enhanced by accelerating read-intensive workloads. vSphere Flash Read Cache is transparent to virtual machines, so no modifications are required to applications or operating systems. As an integrated cloud infrastructure solution, the VMware vCloud Suite 5.5 update features new releases of the different components it consists of. For instance, vCloud Suite 5.5 includes new releases of VMware vCloud Networking and Security, VMware vCenter Site Recovery Manager, VMware vCloud Director and VMware vCloud Connector. The updated VMware vCloud Suite 5.5 also features updates to the VMware vSphere 5.5 virtualization platform. vSphere 5.5 is included within the vCloud Suite, which takes advantage of the new vSphere App HA feature, Big Data Extensions, and Flash Read Cache capabilities. Both vSphere 5.5 and vCloud Site 5.5 upgrades will be available at no cost to customers with an existing support contract.